Top Ten Tuesday: Happily Ever After? Once upon a time, there was a lovely blogging community tucked away in a surprisingly large village called The Internet. One day, a particularly fabulous blog called The Broke and the Bookish came trotting into the village on horseback, announcing that a new meme was being created called Top Ten Tuesday. The other bloggers reveled in this announcement, and pretty soon Top Ten Tuesday became so adored and loved that not even the wicked Internet Trolls could destroy it. And that, my friends, is how we got to where we are today! Making this list has made me realize how few retellings I’ve actually read!! I need to get on that, ASAP! What are your favorite fairy tale retellings? What do you think of the ones on my list? Let me know in the comments section below! Also: What is your favorite fairy tale in general, Disney or otherwise? Mine in Pocahontas! My favorite fairytale has to be Beauty and the Beast. It really is a tale as old as time in my opinion. Thanks for the recommendation- I’ll definitely have to pick up The Wrath and the Dawn soon! This is a really interesting list! 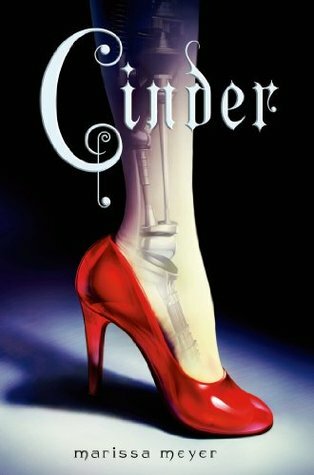 I really liked Cinder and the way that it retold the Cinderella story, and The Book of Lost Things is a little spooky but really, really good. I’m glad to hear that Cinder and The Book of Lost Things are worth reading! I’ll definitely have to bump them up on my TBR. Haha, I love your creative intro! I’m going with the crowd here and saying Beauty and the Beast is my favorite fairy tale. 🙂 I’ve read quite a few retellings of it. I don’t think I’ve ever read a Beauty and the Beast retelling besides Beastly- are there any you would recommend? You have to read The Lunar Chronicles asap! It’s one of my favorite series at the moment, seriously, everything is so perfect in those books. I didn’t enjoy Crimson Bound quite as much as I did Cruel Beauty but that might have been because I had huge expectations after how much I loved CB. 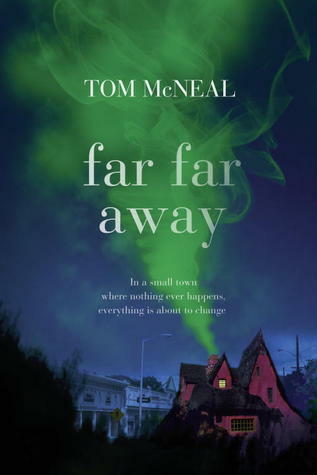 I haven’t read Far Far Away and A Curse Dark As Gold but both sound amazing, so I’m definitely adding them to my TBR list. Entwined, I think I’m going to wait until the second book of The Wrath and the Dawn comes out – I can’t stand cliffhangers. I didn’t know that The Wrath and the Dawn wasn’t a stand alone book! 😦 Oh no, I might wait until the sequel comes out as well. Waiting for books to be released is so annoying! Anyways, it’s good to hear that you enjoyed the Lunar Chronicles and Cruel Beauty! These books look fantastic, but I have to say my favorite part of the entire TTT was your Broke and Bookish intro at the top. Nice job! I had the same thought. At first I thought the list would be easy but I had only read a few! There are many that I want to get to, quite a few that are on your list as well. OH MY DAYS. I actually own a fairy tale retelling book that I haven’t read!!! The Book of Lost Things is a fairy tale retelling? Oh wow. I’m actually quite excited now. Especially since it’s a Little Red Riding Hood retelling (how superb is that?). haha yup! Book bloggers have some sort of telepathy, apparently! 🙂 Thanks for the recommendation! Lovely introduction! I must check out Entwined, I’d never heard of it. Here’s my TTT! Thanks! 🙂 Entwined is great, especially if you’re looking for a fairy tale read that is less common. To be honest, I’ve never even heard the actual story of the Twelve Dancing Princesses. But that didn’t stop me from enjoying the book! Happy reading! I love the re-telling of Beauty and the Beast in Beastly. Was a nice take on a great fairytale. I have Cinder on my tbr list and can’t wait to grab a copy. I love fairytale re-tellings. Entwined’s cover is GORGEOUS! To be honest, that’s what made me want to read it in the first place 🙂 It’s a great story as well, though, so it’s worth the read! That is a fascinating history of how Top Ten Tuesday came to be. Someone make this the official bio of TTT XD ASAP. haha yes!!! I’d love that 🙂 Glad you got a kick out of it!